Simon Huntington was one of the 35 founders of Norwich. He held the esteemed title of Deacon and was married to Sarah Clark for an impressive fifty-three years. Their eldest son, Simon, became a Deacon, and his 21-year old son tragically died from a timber rattler bite and died in the house. Simon Jr. built the house in 1690 on land deeded to him by his father and operated it as a tavern. It is one of the oldest houses in Norwich. The center section was used as a munitions magazine for town weapons. 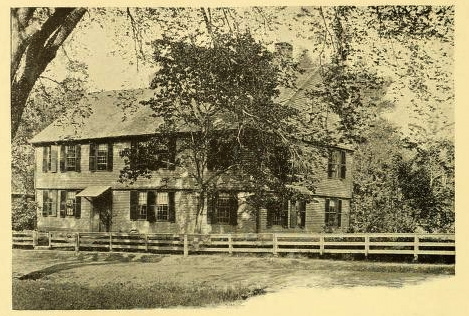 The building is in the Colonial style, a center chimney plan added to on the right side.